New Update! 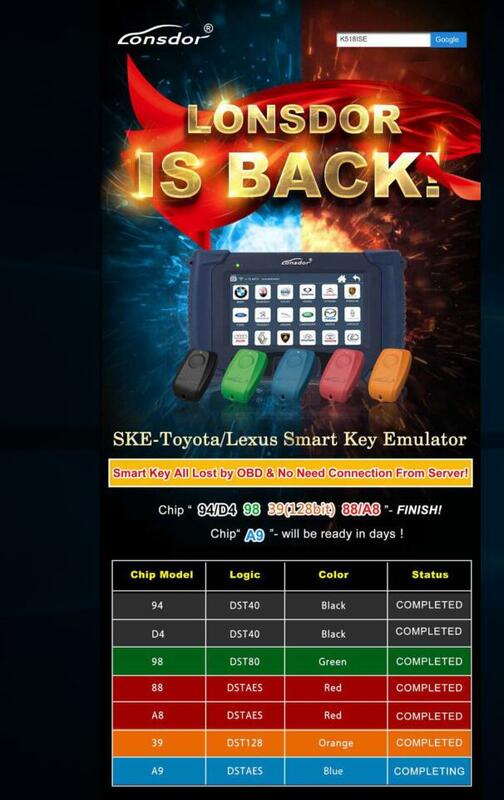 Lonsdor K518ISE has some optimization for Hyundai Toyota Nissan Honda, as well as SKE Toyota Lexus Smart key emulator can work now. Smart key all lost by OBD & No need connection from server! Chip “A9” will be working in one month. maketrust2016 is using Hatena Blog. Would you like to try it too?